When I visit a bookstore or library or book club to discuss my new novel, The Perfect Comeback of Caroline Jacobs, I also recommend books as a part of my talk. Audience members have recently asked for a list of the books that I am currently recommending, so here there are, in case you can't make it to one of my upcoming appearances. Details about why I am recommending each below. 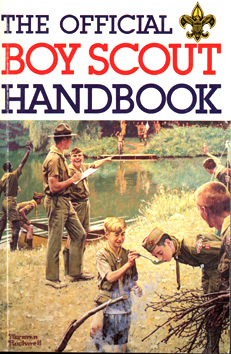 The Official Boy Scout Handbook: I still have my original Boy Scout Handbook, which is now more than 30 years old, but I still think it's one of the best books ever written, particularly for a young person. Turn to any page and you will discover something fascinating. Learn to build a fire. Identify poisonous snakes. Properly fold a flag. Build a lean-to. Purify water. Sign language. First aid. Astronomy. It's an amazing book that any young person would love, whether he or she is a Boy Scout or not. The Tale of Despereaux by Kate DiCamillo: This is the first gift that my wife ever gave me, on our first date, and it's a book I love dearly. Written for children but perfect for adults, it's the story of a mouse who dares to be different in a world that expects him to conform. It's a perfect story, perfectly told, that has remained in my heart ever since I read it for the first time. Made to Stick by Chip and Dan Heath: If you're a teacher or a parent or someone who needs to convey information or skills that must be retained, read this book. It's the single greatest teaching guide ever written. It makes ever book about teaching that has ever cluttered by bookshelf look ridiculous by comparison. 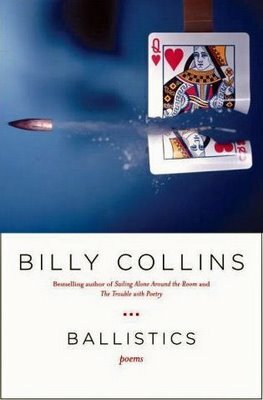 Ballisitics by Billy Collins: Collins is a great poet an a former Poet Laureate of the United States. This may make him sound impenetrable, but it could not be farther from the truth. Collins is amusing, insightful, and simple. I recommend that rather than buying the book, purchase the audiobook. He reads it beautifully. Create a playlist with songs you love, interspersed with poems. It's a joy to be driving down the highway listening to a Beatles or a Stones song and suddenly have Billy Collins reciting a poem to you. 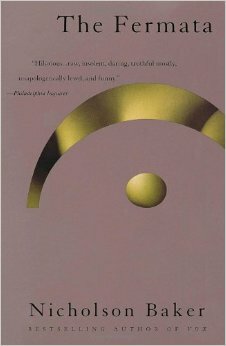 The Fermata by Nicholson Baker: I love Baker's work, and this is one of my favorites. It's the story of a man who can stop time, and he uses this power to undress and then dress women, so they never know that they were naked. This description does not make it sound compelling, but it's a terrific story of a man who desperately wants to connect with the world, and when he finally does, the surprising results. Pieces for the Left Hand by J. Robert Lennon: This is a book of flash fiction. 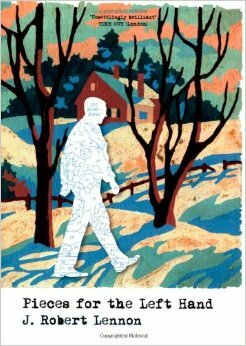 Though I love this book specifically, I am recommending it more as an attempt to get readers to give flash fiction a try. Flash fiction is stories written in a couple hundred words at most. It's an incredibly challenging way to tell a story, but when done well, is truly brilliant. The Moth edited by Catherine Burns: This is a collection of 50 of the greatest Moth stories, originally told on stage, and lightly edited for the page. If you don't want to start reading at the beginning, start on page 200 with Erin Barker's brilliant story about her family. You'll soon encounter one of my favorite lines from the thousands of Moth stories I've heard over the years.